The Bretton Woods Nordic Ski School is pleased to offer a variety of seasonal Nordic ski programs for kids. These programs are designed to help kids learn and improve Nordic, all while developing a love for the outdoors. For additional information regarding any of these season-long programs, or to register for the 2018-19 program, please call (603) 278-3322 or visit the Bretton Woods Nordic Center; located off the main drive for the Mount Washington Resort. All payments must be made by December 22, 2018 for season-long programs. Join us for Open Registration to the BKL League on Saturday, December 15, 2018 from 10am - 2pm. The BKL League offers an introduction to Nordic skiing in a group through shared ability-appropriate adventure on skis, games to develop agility and foster social interaction, and tours to develop skills, endurance and enjoyment of the natural surroundings. Our Open Registration is the perfect time to ask questions, sign up for the program, and get fitted for any rental gear they may need for the season. See below for program pricing and schedule information. For more details, please call the Bretton Woods Nordic Center at 603-278-3322. An introduction to Nordic skiing in a group through shared ability-appropriate adventure on skis, games to develop agility and foster social interaction, and tours to develop skills, endurance and enjoyment of the natural surroundings. The goal is for young skiers to become comfortable on all groomed terrain, know how to navigate the ski area and foster good decision making. Also includes coaching support at the annual Bill Koch Festival in March. Each session starts with group activities followed by skiing with a coach in smaller groups with similar skills. Recommended for all abilities in this age group. This program will introduce young athletes to the techniques and terrain tactics that are needed for all competition and helpful for all types of skiing. Working together toward personal and group goals will be emphasized through a mixture of "trail skiing" and terrain-specific work. The goal of this group is to develop a love for skiing, outdoor life and skiing fast. Specifically, we'll work on skate and classic techniques and learn the basics of ski tuning and waxing. 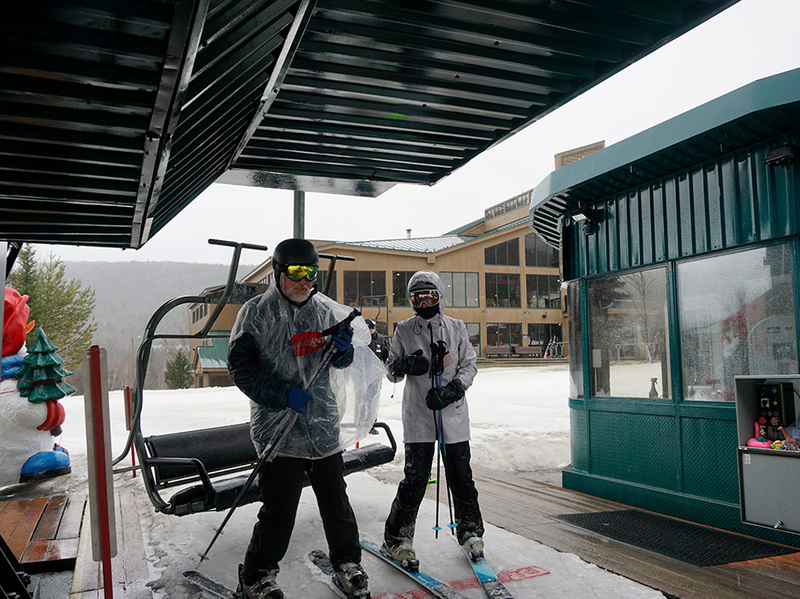 Seasonal ski rentals available for $50.